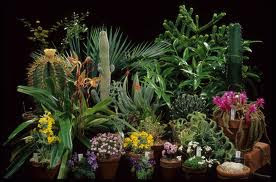 Explore the amazing world of plants with our interesting range of fun plant facts. Learn about trees, flowers, photosynthesis and more before checking out some cool information and trivia on weird species such as poison ivy and the like. Tree resin which has been fossilized is known as amber, it sometimes contains plant material or small animals that were trapped inside. The average strawberry has about 200 seeds. And it is the only fruit that bears its seeds on the outside. Most of the flowers have patterns of lines on their petals.This act as guide for insects to move towards the glands which produce nectar.Generally these glands are at the base of the petals. Some of the flowers display these patterns in the UV Rays they reflect. Unlike humans, the insects have ultraviolet vision. These insects see these nectar guides, whereas we only see plain-coloured petals. Apple is 25% air, that is why it floats on water. Tomato and the potato are the two vegetables which are grown in largest quantities in the world. But Onion is the most widely used vegetable i!The onion is used in in more dishes than any other vegetable in most no. of countries? Apple,Onions & potatoes have same taste, don’t believe it.Here is the test: Pinch your nose & taste all 3 ,find any difference? Do you ever wonder what causes tears in eyes while cutting onions!It is the sulphuric acid present in onion ,which creates itching in the eyes & causes tears.But if you chill the onions enough,effect of sulphuric acid goes down drastically. The oldest trees in the world :California Bristlecone pines and Giant Sequoias are regarded as the oldest trees and have been known to live 4000 to 5000 years. Carrots were originally purple in color. The Baobab tree in Africa is an amazing plant.It is known for its water storage capacity in it trunk.It can store 1000 liters to 120000 liters of water ints swollen trunk. Cutting onions releases a gas which causes a stinging sensation when it comes into contact with your eyes. Your body produces tears to dilute the irritant and remove it from your eyes. The first diesel engine ran on peanut oil. Rice paper isn’t made from rice but from a small tree which grows in Taiwan. Trees get about 90% of their nutrition from the atmosphere (carbon dioxide, etc), and only about 10% from the soil. The averaged size tree can provide enough wood to make 170,000 pencils. The world’s tallest tree is a Sequoia (or California Redwood) in California; it is more than 360 feet tall. The world’s oldest living tree is thought to be in Sweden. Its root system has been growing for 9,550 years. A cluster of bananas is called a hand and consists of 10 to 20 bananas, which are known as fingers. The word 'banan' is Arabic for finger. The very first type of aspirin, or pain killer and fever reducer came from the tree bark of the willow tree. Apples, not caffeine or tea , are more efficient at waking you up in the morning. Chocolate is a food made from cacao beans. Mango is called king of the fruits. Because bananas are easy to digest and are very nutritious, they are the first fruit offered to babies. A cucumber is a fruit not a vegetable. Why? Because it has seeds in the centre. Leaving skin on potatoes is healthier as all vitamins are in the skin. Eating a lot of onions will make you sleepy, as it acts as a sedative. The original Ketchup did not have any tomatoes,the primary ingredient was fish brine mixed with herbs.The roots of ketchup are traced back to China, with a sauce they called ke-tsiap. Do you know the rose family of plants, in addition to flowers, gives us apples, pears, plums, cherries, almonds and peaches . A notch in a tree will remain the same distance/height from the ground as the tree grows. Have you heard a mushroom called Death Cap ?It looks like a harmless mushroom but it contains poison & can kill a human being with in 6 hours of eating due to kidney & liver failure. The water hyacinth is the world's fastest growing water plant & world's biggest water plant is Amazon lily ,its floating leaves grow up to 6 feet. Dendrochronology is the science of calculating a tree’s age by its rings.Rings in the stem of a tree can tell the age of a tree. Tree rings not only tell us age of the tree but they can also tell us about environmental events, including volcanic eruptions. Cricket bats are made of a tree called Willow & base-balls bats are made out of wood of tree called Hickory. The broadest trees around the world are thre Baobab trees in Africa & the Sequioa trees in North America, their trunks are so large that a good sized apartment can be housed in there! The first certified botanical garden was founded by Pope Nicholas III at the Vatican in 1278 AD. Wood sorrel is plant which has two flowers ,one to attract bees to spread its pollen & other to make seeds. The world's fastest growing plant is Burma's giant bamboo,it can grow 17 centimeter in a day.